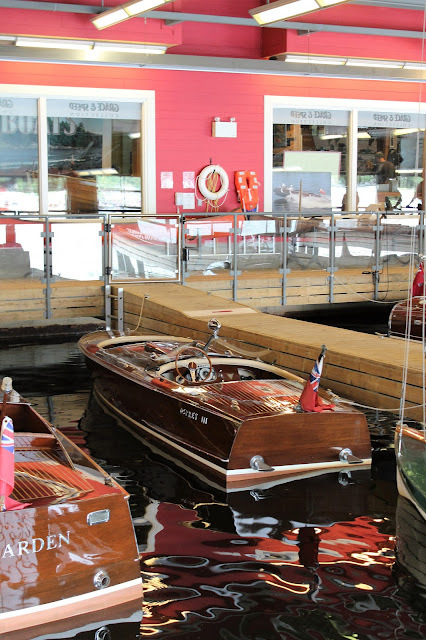 After touring the ACBS boat show at the Muskoka Wharf and having some tea and cake at a pleasant English-style tea house, we walked over to the nearby Muskoka Steamships and Discovery Centre. This is a permanent building celebrating not only the history of Muskoka steamships but also the grand hotels of this summer holiday region and the eleven area boatbuilders who constructed the beautiful wooden boats featured at the show. 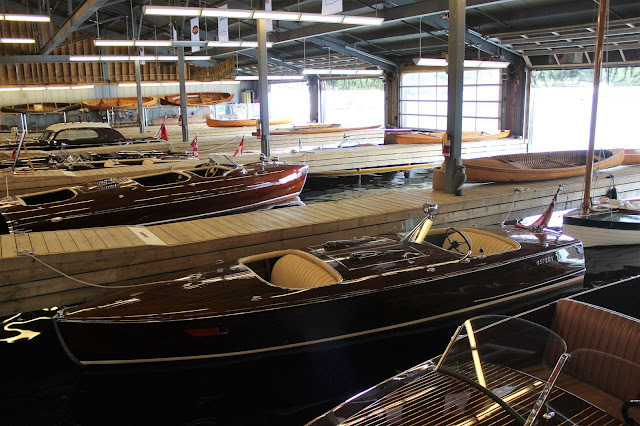 The Muskoka Lakes Navigation Company (NAVCO) was founded in 1866 and operated until 1956, offering the largest and finest fleet of inland lake steamships in North America. 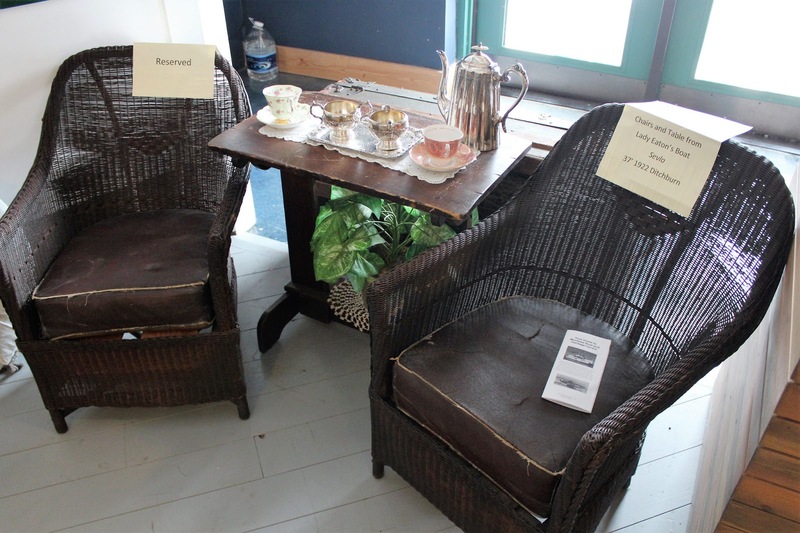 It was a key transportation link for the Muskoka region until the 1930s, when it saw a decline in freight and passenger traffic due to competition from highways. 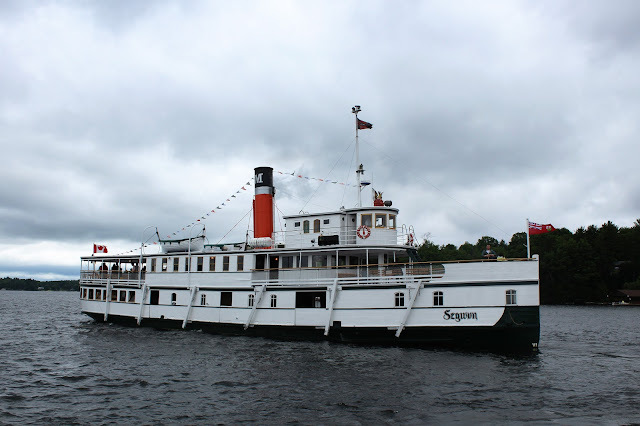 The last steamers, Sagamo and Segwun were withdrawn in 1958. 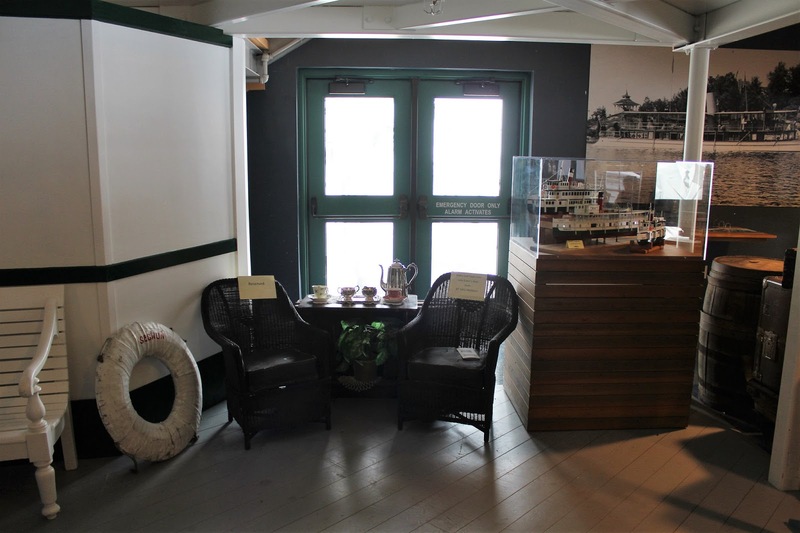 RMS Sagamo was converted to floating restaurant at the Muskoka Wharf and was lost by fire in 1969 while the Segwun, moored nearby as a floating museum, was unscathed. 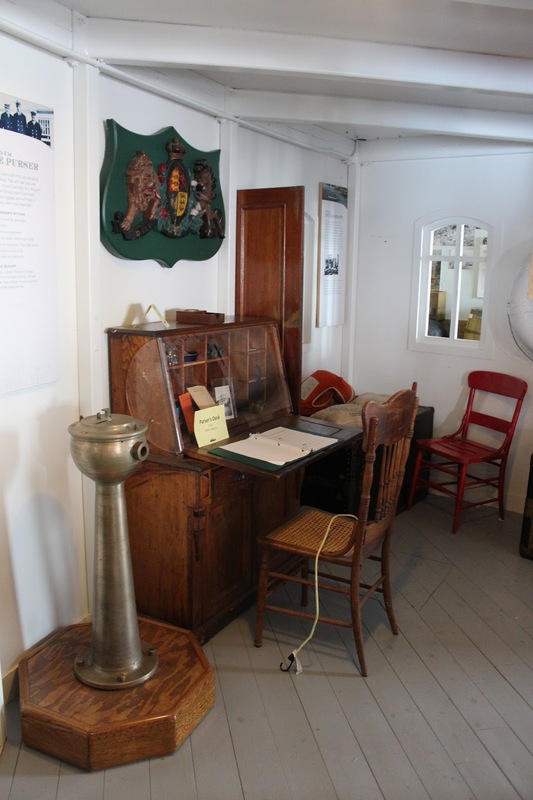 RMS Segwun began its career as the SS Nipissing, built in 1887 on the Clyde in Scotland and assembled in Toronto. 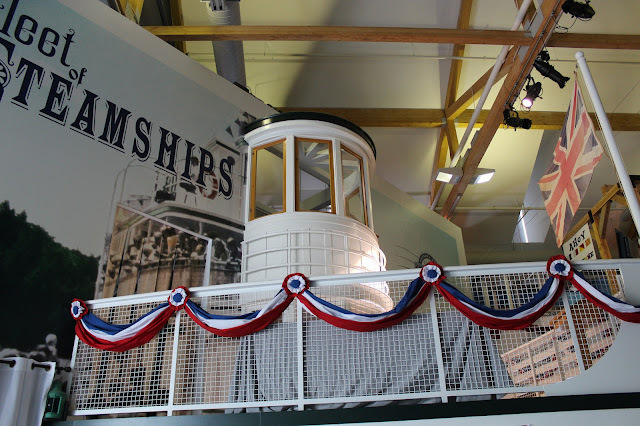 A paddle wheeler, it was decommissioned in 1915 but then the company elected to rebuild the hull as a twin-screw steamship in 1924, relaunching the renamed Segwun in 1925. 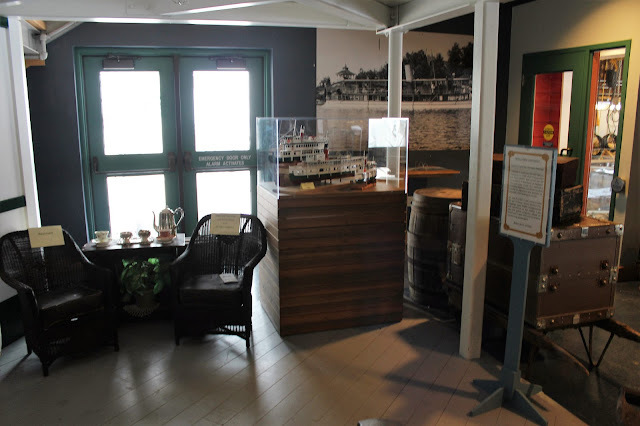 Laid up as a floating museum in 1962 and thus saved from destruction, Segwun underwent a lengthy restoration process which resulted in the relaunch of the ship in 1981 for excursions and dinner cruises. RMS Segwun has a capacity of 97 passengers plus crew and requires 250 tons of coal for its 4 1/2 month sailing season. 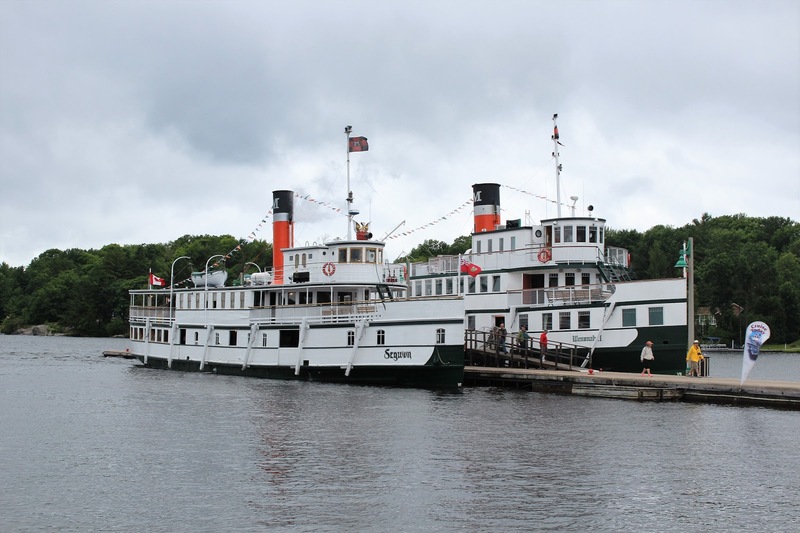 She has been joined in the fleet by Wenonah II, a replica of a 1907 Muskoka Navigation ship built in 2002, which has a capacity of 217 passengers and crew. 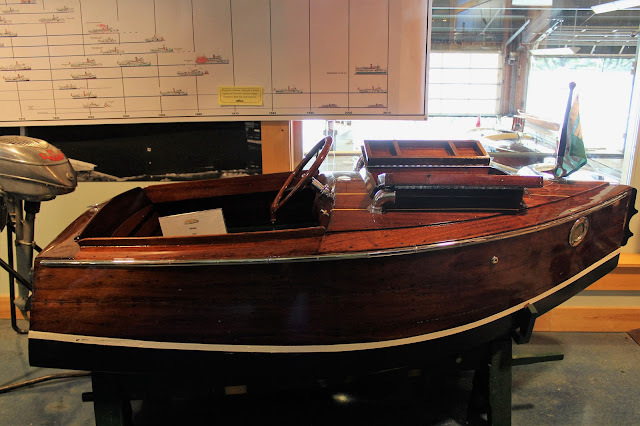 A third ship, Wanda III, was built in 1915 as the private yacht of Mrs. Timothy Eaton, wife of the department store founder, and was capable of 24 knots. 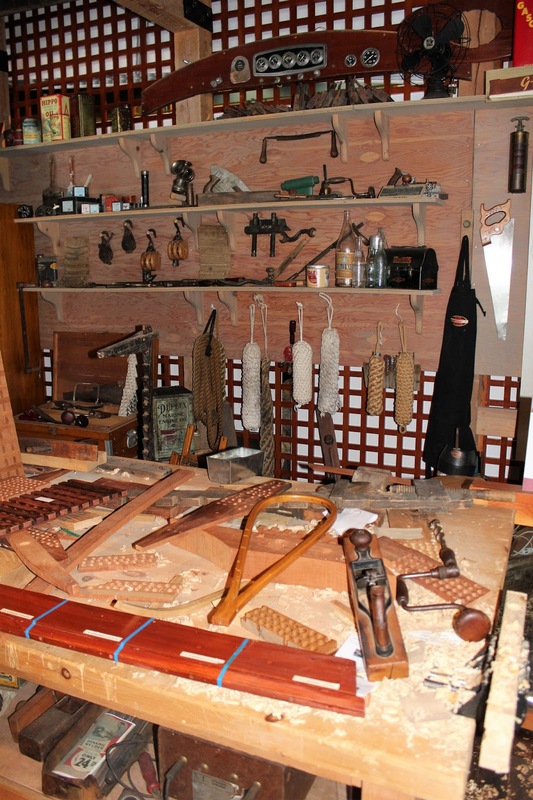 It is currently undergoing restoration. NAVCO was revived with the relaunch of the Segwun and is owned by the charitable Muskoka Steamship and Historical Society, whose aim is to preserve knowledge of the steam era and let the public experience the "fun, romance, and history" of the Muskoka Lakes. 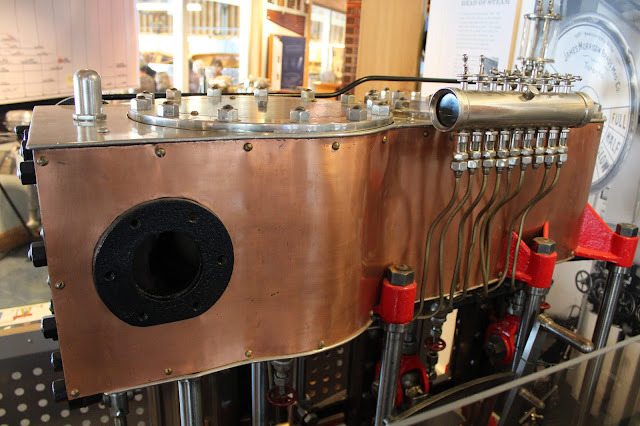 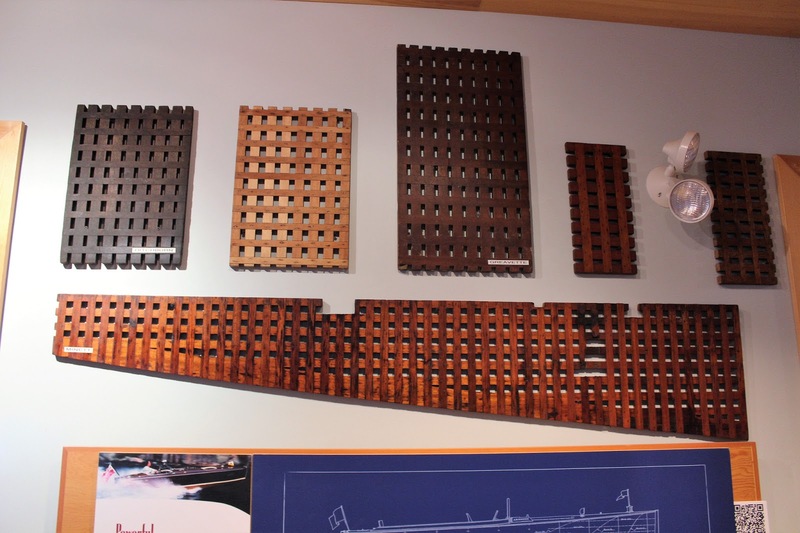 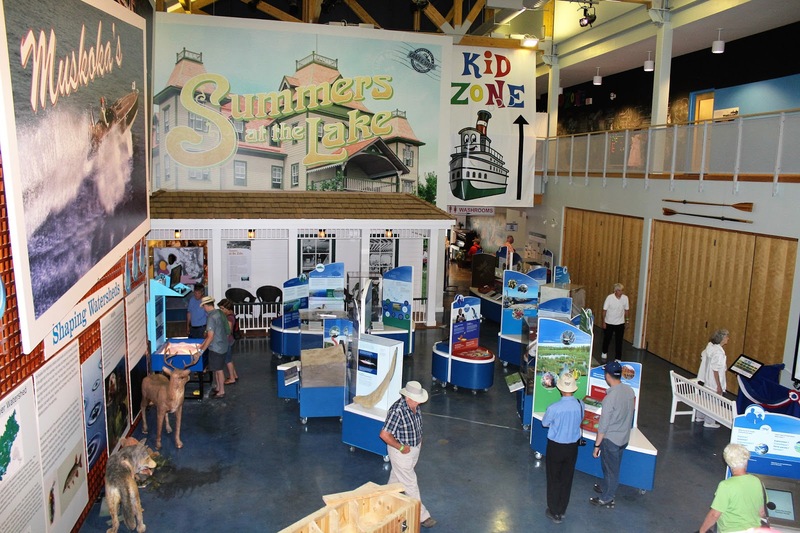 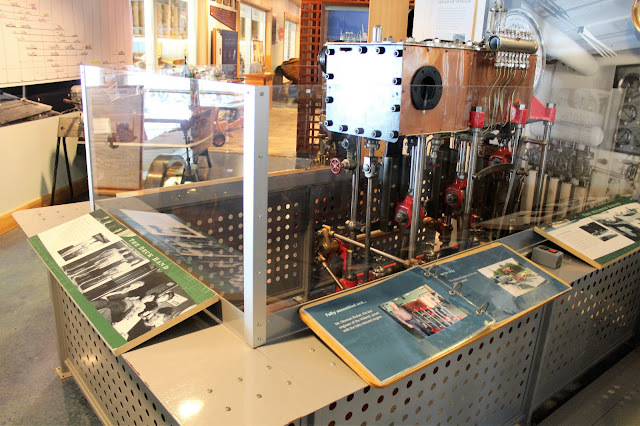 The Discovery Centre has an extensive exhibit on the Segwun and the operations of the company, with a recreation of the freight deck, and memorabilia from the grand hotels found on the Muskoka Lakes. 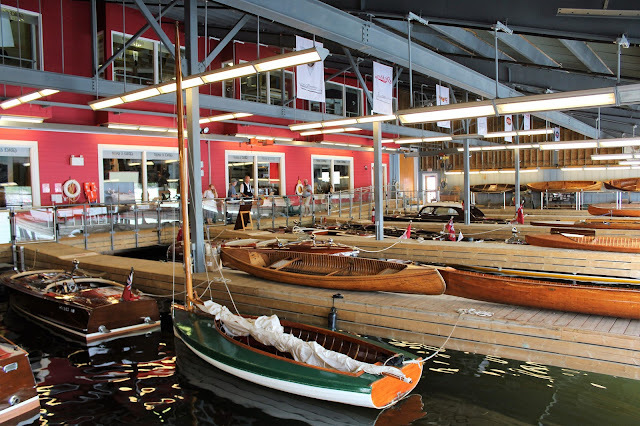 The other part of the Discovery Centre is the Murray Walker Grace & Speed Boathouse, featuring North America's largest in-water collection of antique wooden boats. 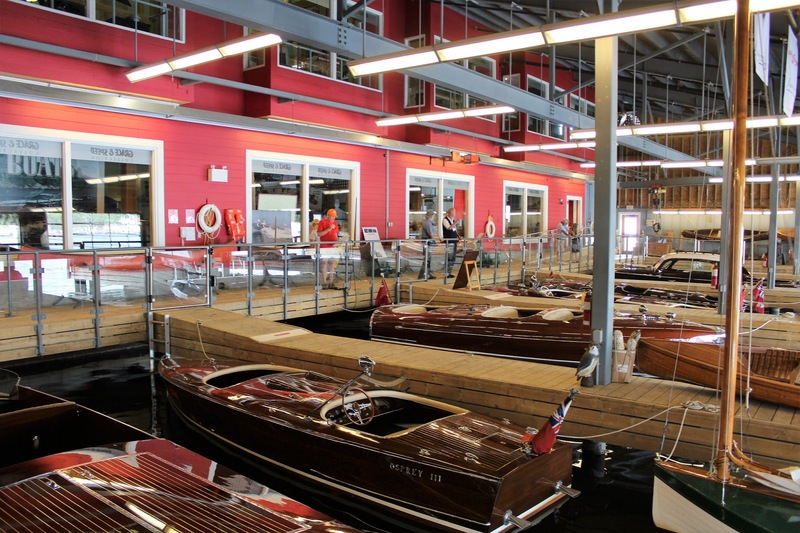 The boats are privately-owned and the display is constantly changing. 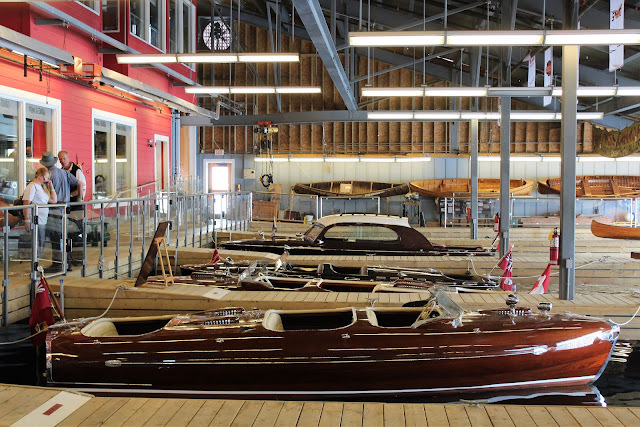 There are exhibits about boat construction and the history of individual companies but the beautiful speedboats speak for themselves in this airy structure. 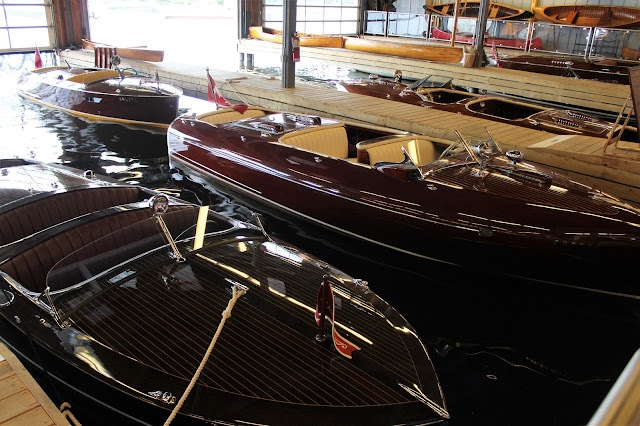 Our enjoyable day among the boats was coming to an end. Taking the shuttle bus back to the parking lot, we got into the car just in time for the rain to begin again. 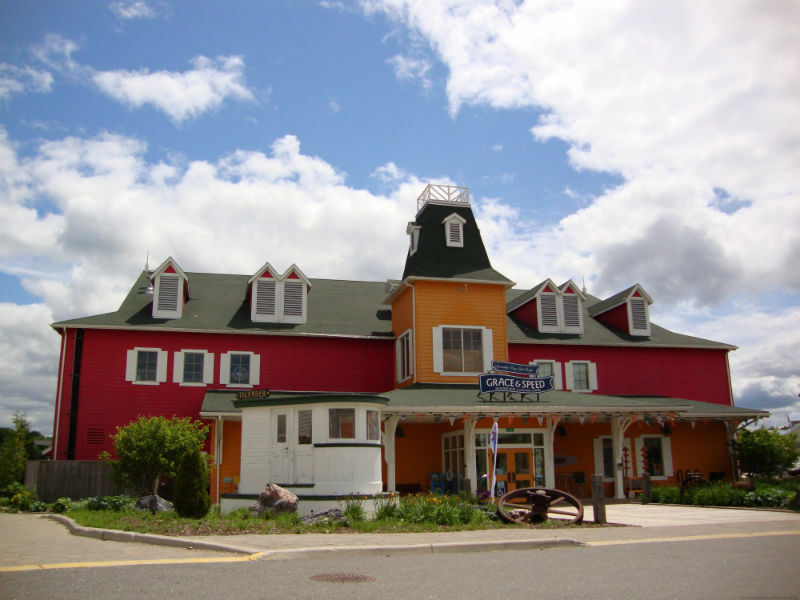 Our long drive home was a different route than the one we came in on, taking us through Bancroft and the truly spectacular Haliburton Highlands. The rain continued all the way home, reducing our enjoyment of the scenery somewhat, but the roads were empty so it was a no-stress return back. 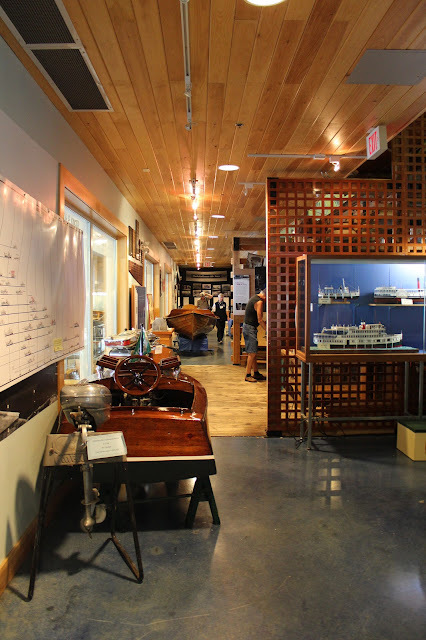 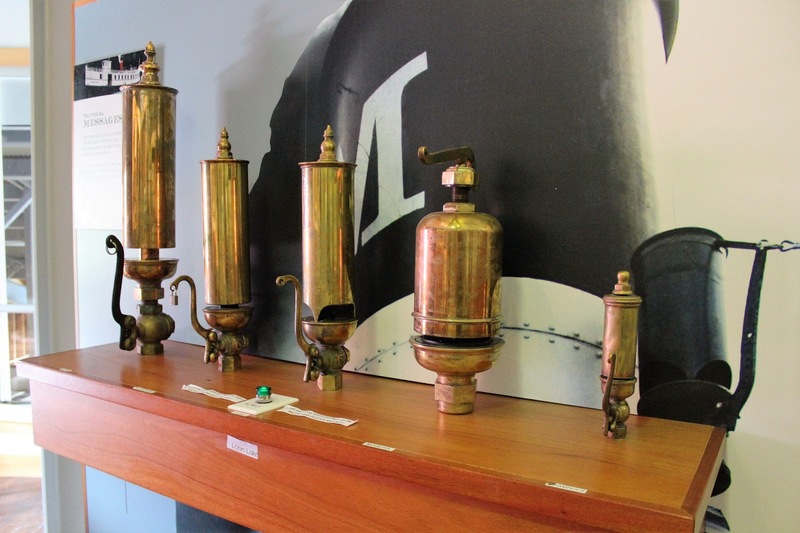 The Muskoka Steamships & Discovery Centre is highly recommended when in the region and more information about it can be found here.